Video games are everything. They are what get me out of bed in the morning, keep me satisfied during the day and entertain me into the night. There are a lot of other good things in the world, but video games are the best thing. With that out of the way, welcome to your official Nintendo Switch Gaming forecast/hype post. You might be wondering why I am only focusing on the Switch right now, and that is because it is the best console on the market and if you don’t have one, what are you even doing? If you disagree, I literally don’t care, you couldn’t be more wrong. Without further ado, let’s dive in. So I know this is only a theory/rumour but I totally think this is going to happen. To fill you in if you haven’t been keeping up, Persona 5, one of the last decade’s best RPGs, is likely going to make its way to the Nintendo Switch this year! Why? Because Joker, Persona 5’s protagonist, was confirmed as a DLC character in Super Smash Bros Ultimate. The SSB series has used DLC to advertise new games in the past (think Corrin and Fire Emblem Fates) and Joker would be a great way for Nintendo to get fans familiar with the franchise before it is released on Switch. Also, a mysterious project called Persona 5 R was announced with no details, which is just too much of a coincidence. Hideki Kamiya, the Bayonetta series director, is making a new action/combat game slated for a late summer release. We only have one trailer so far, but this game looks STUNNING. The graphics and combat visual effects are gorgeous, and the combat systems seem quite innovative using the new “Chain” mechanic, where the protagonist is linked to a robot/android fighting side-by-side. 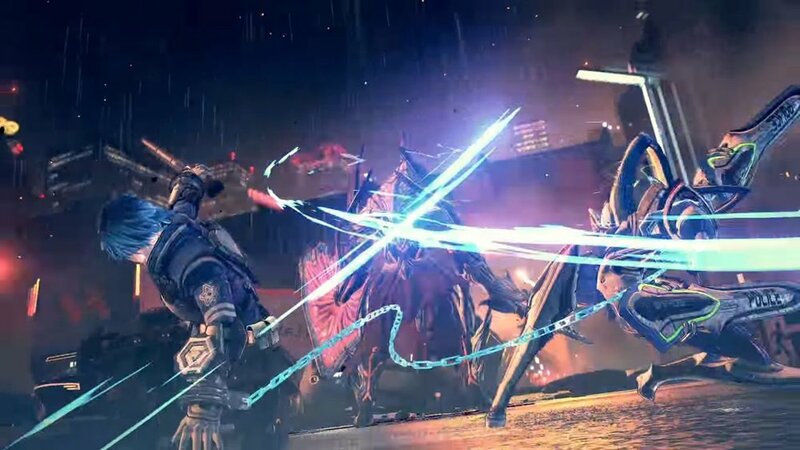 If you like exciting games that keep you on the edge of your seat, Astral Chain seems to be worth waiting for. Wow I’m so excited for this one. Square Enix (the legendary game studio responsible for the Final Fantasy franchise) is blessing us with a combat-RPG that will absorb weeks of my summer. You play as a “watcher,” an individual who can shift between the worlds of the dead and living to free lost spirits and recruit them to join you in battles. The story also looks to be interesting, which is something I really care about in my games. The newest announcement on this list is in regards to the future of Pokémon. 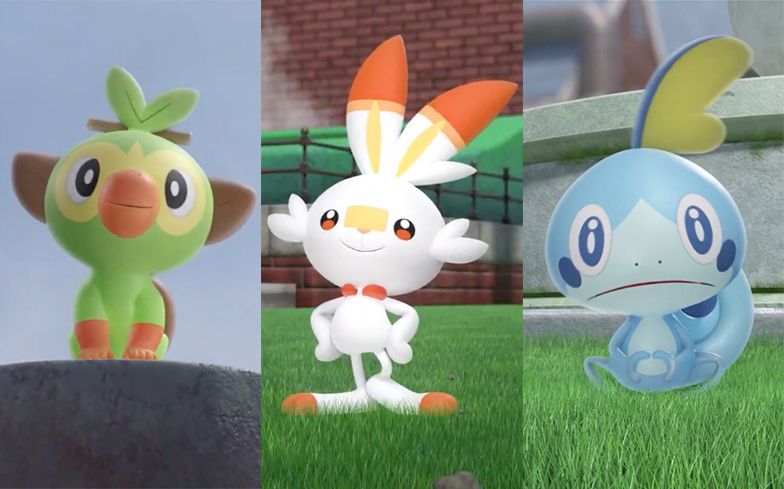 The first look at generation 8, the new region and its three stater Pokémon have all been revealed to debut with Pokémon Sword and Pokémon Shield late this year. We don’t know much, although we know the new region, Galar, will focus on “Technological innovations between Pokémon and Humans.” This doesn’t reveal much, although we did get a look at some gameplay in a new city directly from a steampunk-fantasy of mine, so I am definitely optimistic. Everybody who knows my taste in games could tell you I am a Fire Emblem super-fan, which is why the franchise’s new game is topping my list. Fire Emblem pairs complex, turn based strategy with character development aspects that have kept me engaged for hours on end. Plot is always important in this series, and the story “Three Houses” situates around three warring Houses in a medieval setting. This is being spiced up, however, by the choice mechanic from Fire Emblem Fates; players will align with one of the three Houses early on. If you like strategy and stories, this is the game for you. I want to throw out one honourable mention before I get back to playing video games: Animal Crossing 2019. It would have made the list but we have literally zero details (not even one piece of promo art?!?) so I have nothing more to say. This summer is looking insane for Nintendo Switch releases. All the games here except Pokémon are slated for summer releases, which means I will be both short on cash and time when I inevitably have to juggle working the requisite hours to get the most out of these games. I am visibly excited as I write this, so I’m going to play a game of League of Legends to calm down. Wish me luck. Canadian. Pop Music. TV. Fashion.